Join participants in a real singing bowl training - fun, informal, affordable and no exams! Fun, experiential live training with singing bowls: Theory, practical exercises, slides, audience questions & a short soundbath. Informative & engaging, add this ancient, versatile, highly effective modality to your toolbox. (2 hrs 17 mins). 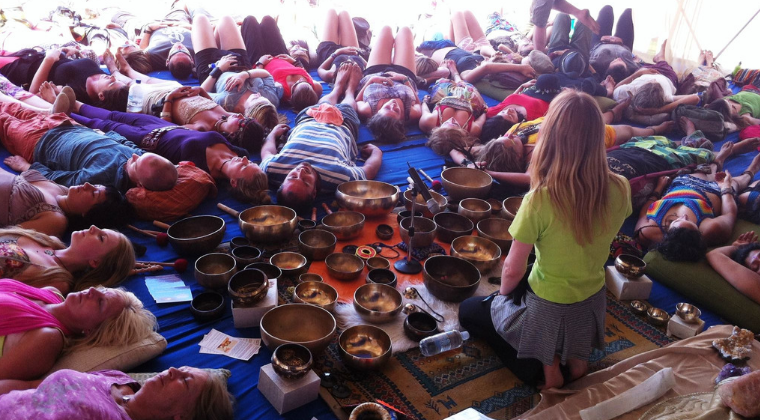 An experiential live training on self-healing with Tibetan Singing Bowls; Theory, practical exercises, slides, audience questions & a short soundbath. Warm presentation, easy to understand information & a few laughs along the way. (52 mins). An experiential live training on how to heal others with sound & Tibetan Singing Bowls; Theory, practical exercises, slides, audience questions & a short soundbath. Warm, fun, informative presentation. (1 hr 32 mins).